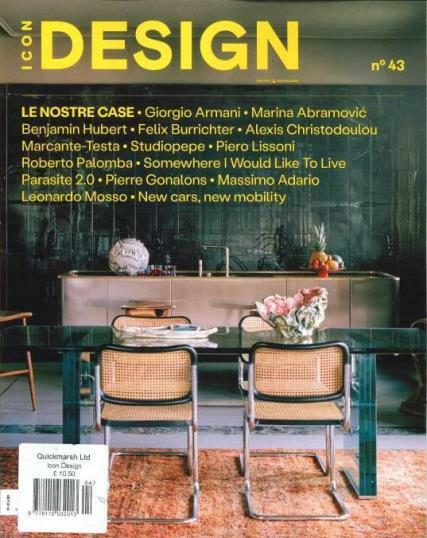 Icon Design is an interior design magazine in the Italian language. Buy a single copy or subscription to Icon Design magazine. Cutting edge design projects, a focus on the design world's most creative personalities, great photaography, artists and designers of outstanding talent are featured in this glossy magazine.